I thought I was immune to culture shock. 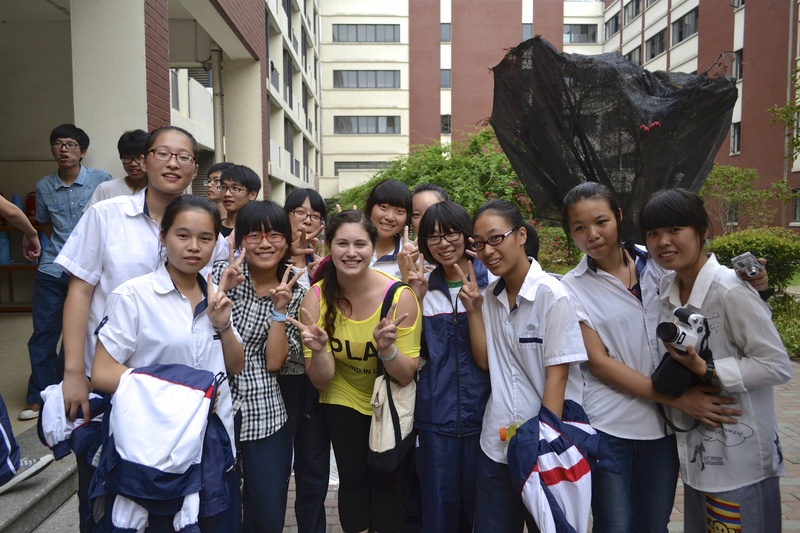 I studied abroad in China for seven months and I speak Chinese almost fluently. 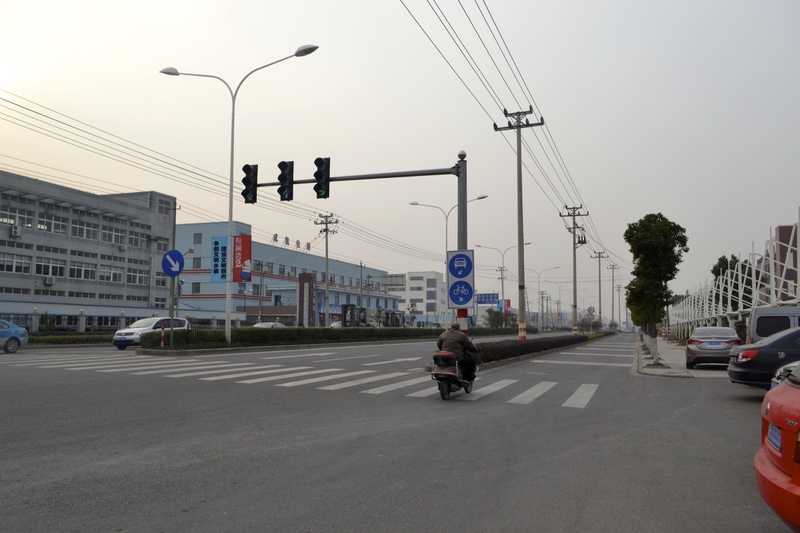 I’ve been jostled in China’s largest cities, and stranded in some of China’s smallest towns. I’ve traveled to Tibet and Xinjiang and I’ve eaten fried scorpions in Beijing. One time I accidentally signed up to run a 6k in the jungles of Hainan while wearing a dress. I thought there was nothing left in China that could possibly “shock” me. I’d seen it all. That was until a driver dropped me off at a complex on a highway in the middle of nowhere and said “This is home!”. I thought I was prepared for anything, but I was not ready for the loneliness that accompanies living by yourself on a highway surrounded by factories. There was nowhere to go to make friends; I couldn’t even use Chinese to communicate with the locals who only speak the Ningbo dialect. I was half-bored, half-miserable, and I knew I needed to change. 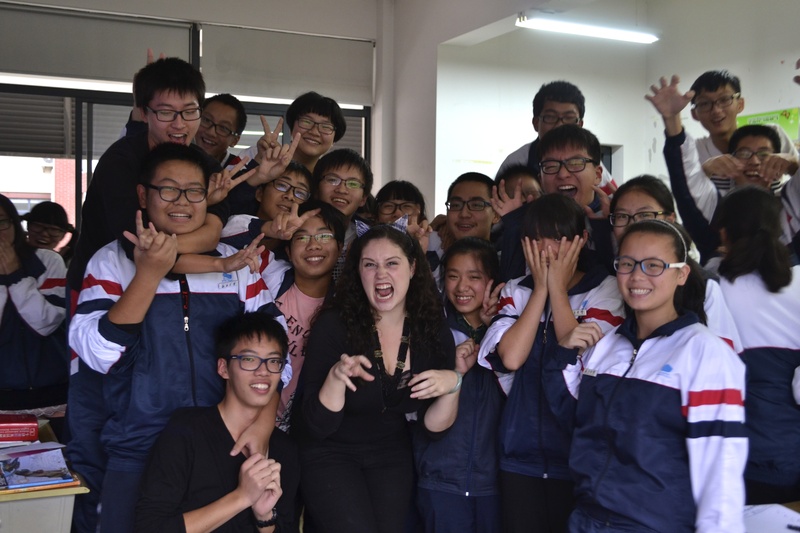 While getting placed by myself in the middle of nowhere was hard, a lack of foreigners in my area encouraged me to form close connections with many of the teachers at my school. While most of the teachers are married and live in the city, they always take time to introduce me to Chinese culture and show me around Ningbo. Since most of the English teachers have small children, this has made me “auntie” to a bunch of babies and toddlers. 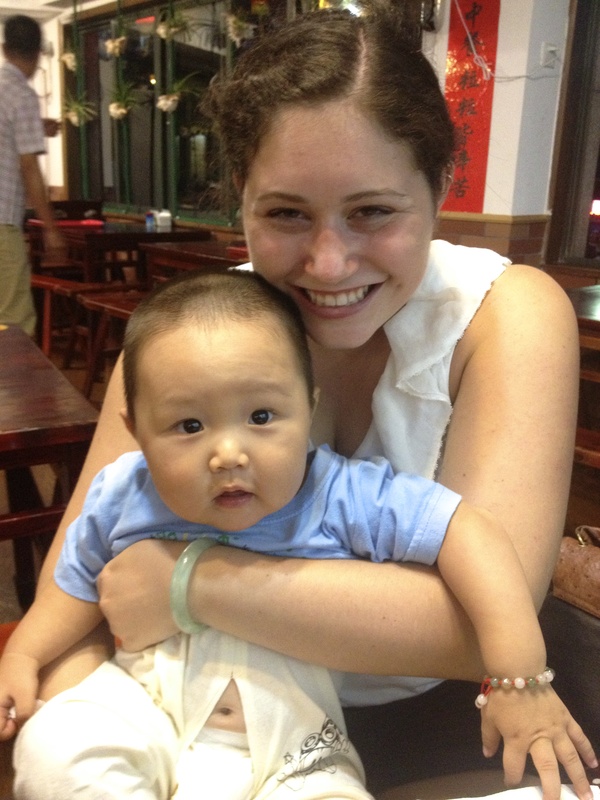 On school nights, sometimes I’ll go home with a teacher and play with her baby while she and her family cook us a traditional Ningbo dinner. It’s been amazing to meet everyone’s families and become a fixture in some of the kids’ lives. A few of them now cry every time I leave. 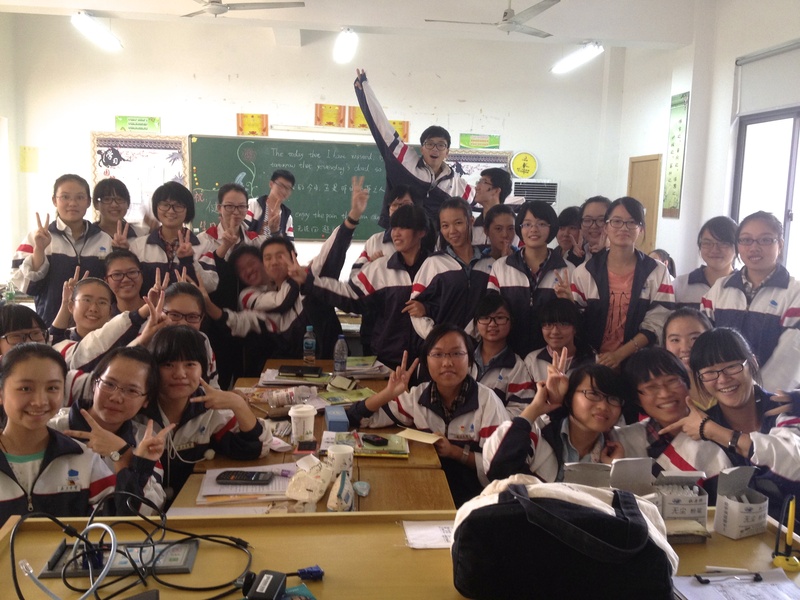 Since I teach in a rural area, most of my students have never had a foreign teacher before, and are extremely excited to have me. Some of my classes even cheer when I walk into the classroom. It’s great to have students that are excited for my lessons and want to take part in my activities. I always try to make my class fun and engaging, and I’m not above doing crazy things to keep their attention. For example, this Halloween I wore a different costume to class each day of the week. Living on campus has given me the opportunity to really get to know my students and everyday life for them outside of my class. The students live on campus and have strictly regimented lives. They are up by 6am and in bed by 9pm. They have a half-hour for lunch and an hour for dinner and a shower. They’re not allowed to bring phones or computers to school, and outside of a dance team and a few varsity sports, there are no clubs or extracurricular activities. 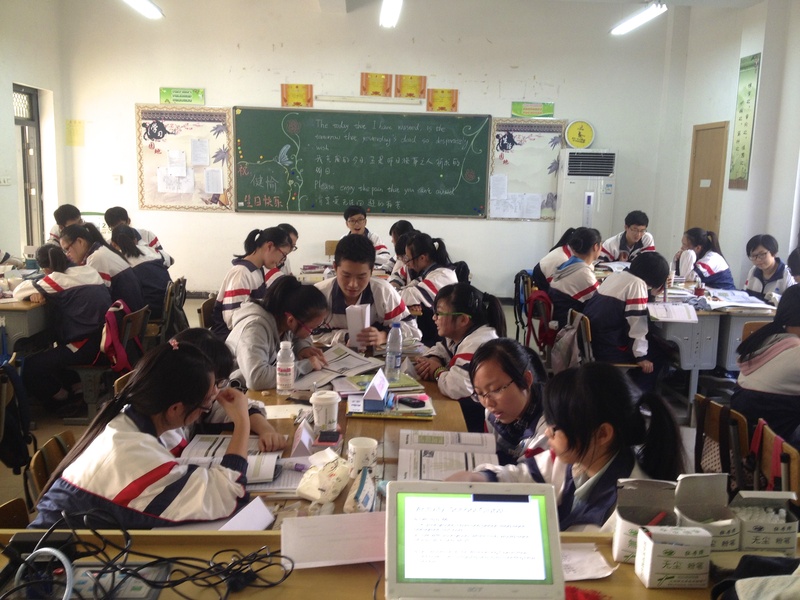 Many of my students are under immense pressure to do well on the Gaokao, China’s college admissions test. A few students in my elective class discussed this pressure in a recent written assignment to compare the American and Chinese high school experience. 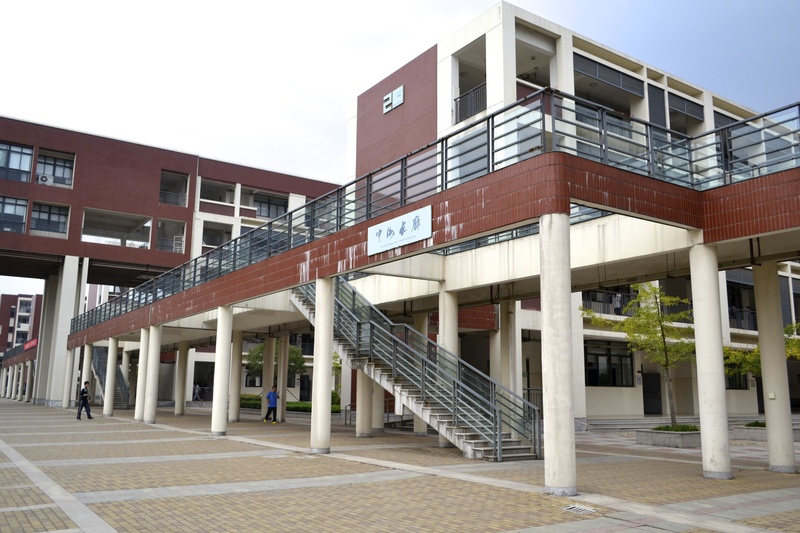 While many students study hard for the Gaokao, living and working at a Chinese high school has taught me that most of the stereotypes of Chinese students are not true. Many Americans believe that Chinese high school students are extremely studious, diligent, quiet and focused, they are good at memorization but lack creativity and have poor analytical skills. The longer I teach in China, the more I realize that this is a product of the Chinese education system, rather than the students themselves. Most of my students are just like American teenagers; they have big dreams and hate doing homework, they love playing basketball and listening to Justin Bieber. I have smart students, shy students, class clowns and slackers. I have students that go out of their way to practice English with me after class, and students that cower in fear when asked to read a sentence aloud. Chinese students are just like we were a few years ago, with the same fears and worries that I had when I was sixteen; something I may not have noticed if I didn’t live on campus and interact with the students every day. Finally, living at school has given me the opportunity to get involved in my school’s community. I participated in “Sports Day” where I helped bring the English teachers to a 2nd place finish and single-handedly won the Tug of War competition. Because of my dance experience, I was asked to judge a school-wide dance competition. I also witnessed my school’s version of a fire drill, where they set off red smoke bombs all over campus and let students put out a fire with fire extinguishers. Finally, I was coerced into singing and dancing in front of the entire school for the New Years talent show. Living on campus makes it easy to be involved, and my school really tries to include me in all of the school events and activities. I feel like I’m a real teacher at the school rather than a guest teacher for the year. While living in the middle of nowhere will always be a challenge for me, at least I’ve made a home for myself in Wuxiang. I loved reading about your students and seeing how you interact with them. I got to your post while looking for info about Ningbo, as it may be on an upcoming travel itinerary I’m planning. I’m not up to date yet on your newer blog posts, so forgive me if this sounds uninformed. Are you still in Ningbo? I assume not due to a short contract with the school? I’d love to pick your brain a bit, as so far you’re the only one that has offered any insight into what Ningbo might be like to a foreigner. My itinerary will take me either to Shanghai, or to Ningbo, depending how I strategize. Ningbo is an extra 2 1/2 hours by train, but would otherwise make my trip much smoother heading back to Canada where I live. I’m trying to decide if it would be worth the extra train trip, or if Shanghai would already be enough overstimulation for a solo traveller with very little Chinese (daija hao, xie xie, bu ke qi, nothing much more fancy than that), essentially just ‘stopping through’. 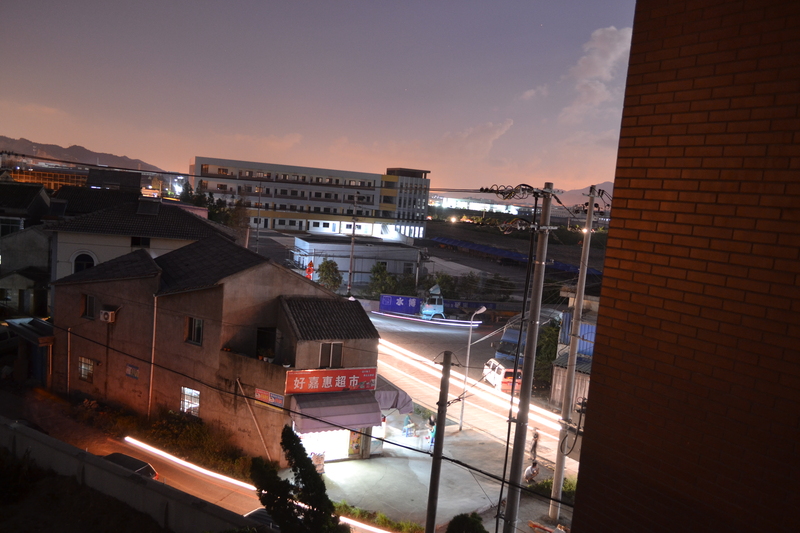 Thanks so much for your kind words :) I lived in Ningbo for two years but I just moved to Beijing a month ago. Honestly, as much as I enjoyed living in Ningbo, there’s not much to see for a tourist. I would suggest Hangzhou instead. 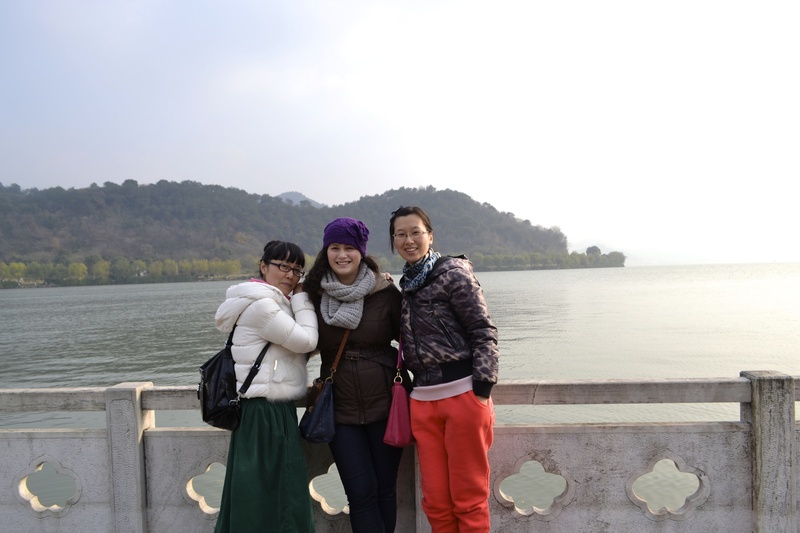 It’s only an hour from Shanghai by train, and you can see so many beautiful temples and the famous West Lake. We go to the same university. Its such a beautiful campus! Really? Are you at University of Nottingham right now or GWU? That’s one big difference I’ve found between Ningbo and Beijing- It’s much easier to make friends in Ningbo because the community is so small. Everyone goes to the same three or four bars every weekend so it’s easy to spot a familiar face and eventually become friends!